Services • What we can do for you? 3 Strategy for maximizing business • Start-Up! • Where to start? Design & Promotion • Around the folds. 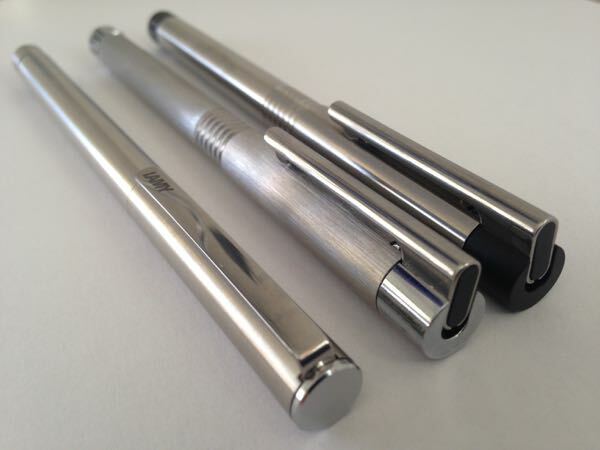 Lamy fountain Pens, ST & Logo …write for life. Last February I replaced my Reform calligraph fountain pen with the LAMY logo matt black Fountain pen. I liked the modern styling. 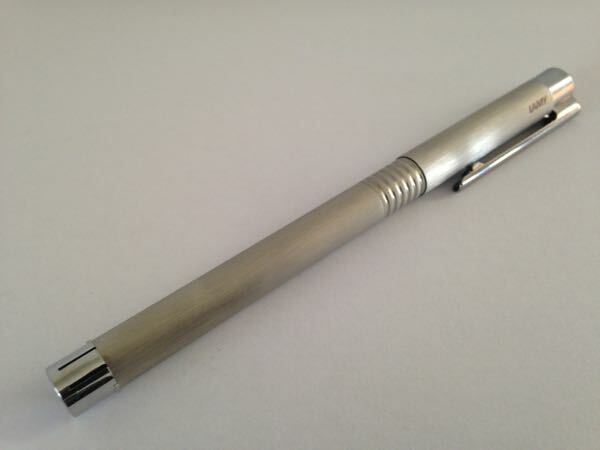 For the main part I like the nib, LAMY Fountain pen polished steel 1.1 nib. Personally I find it an excellent drawing replacement to the reform calligraph nib. In fact I find it writes/ draws on most papers, newsprint to watercolour and in-between. Even following a few days of non-use I pick the pen up & the ink flows as though I’d put it down moments earlier. 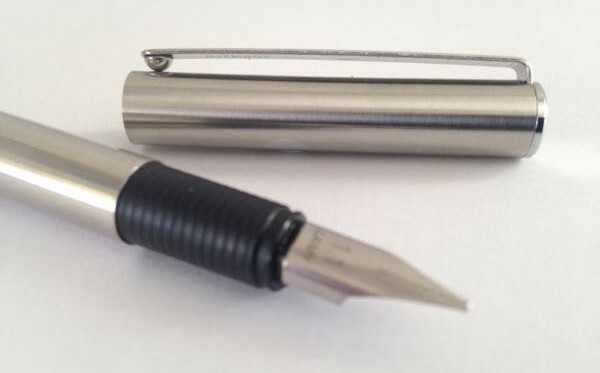 This Christmas Santa left me, the slim Lamy ST fountain pen with a LAMY Fountain pen polished steel 1.1 nib. 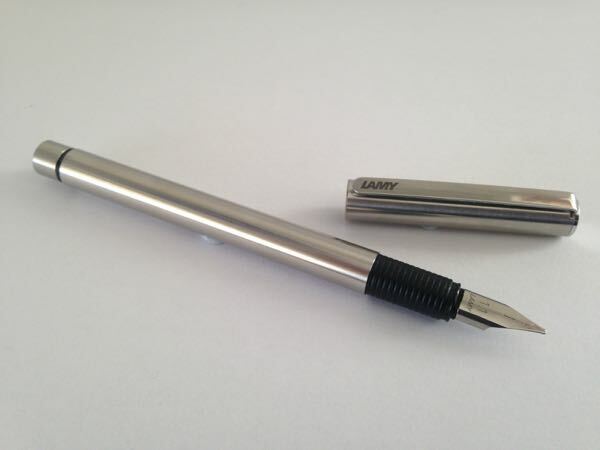 Lamy [ˈlɑːmɪ] of Heidelberg in southwestern Germany is a producer of writing instruments. 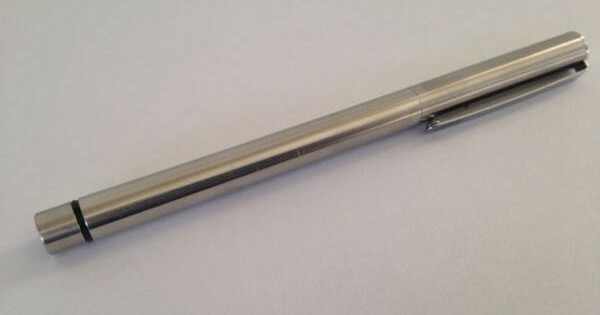 The company is German-owned, Josef Lamy, who was a sales representative for The Parker Pen Company in Germany, founded the business in 1930 by purchasing the Orthos pen manufacturer. 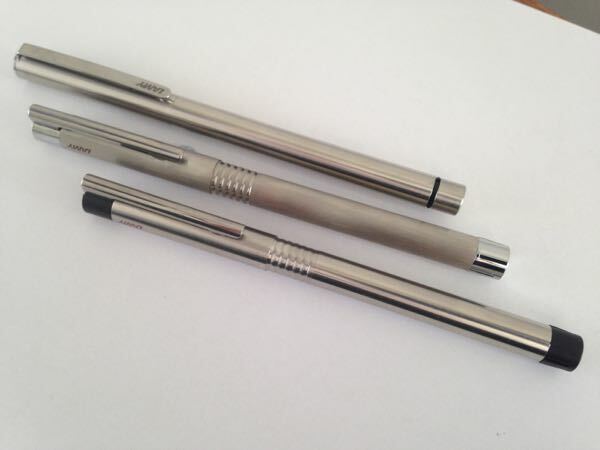 Lamy was a pioneer in the use of moulded synthetic plastics, rather than hand-turned natural resins. to make their product. 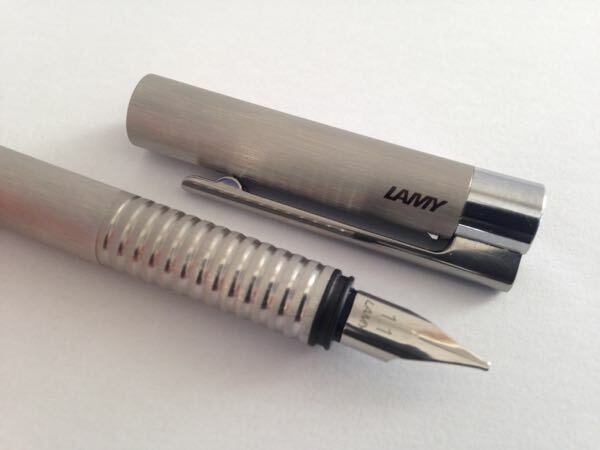 Lamy was run by Josef Lamy’s son, Manfred Lamy, until his retirement in 2006. He was succeeded by Bernhard M. Rösner. 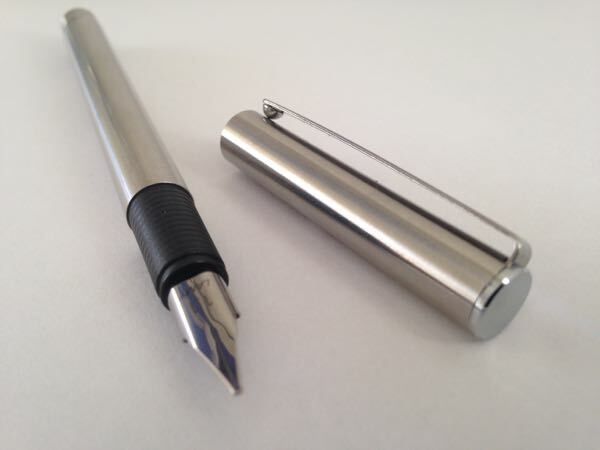 The Lamy ST fountain pen has a reasonably slim and cylindrical design, crisp clean modern lines. with a black ridged finger grip. 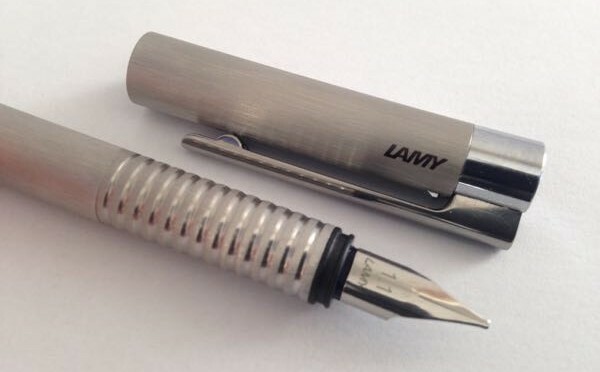 Satin stainless steel cap and barrel with shiny chrome pocket clip printed with the Lamy logo. 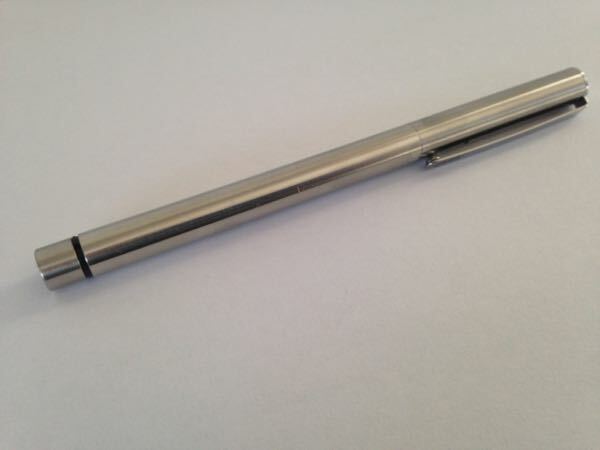 Supplied with a Lamy T10 ink cartridge and a Z26 converter for use with bottled ink. 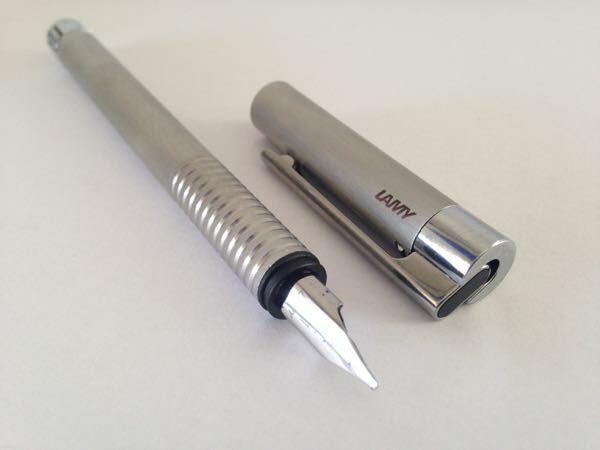 The Lamy st Fountain Pen is one of the designs created by Gerd A. Müller. 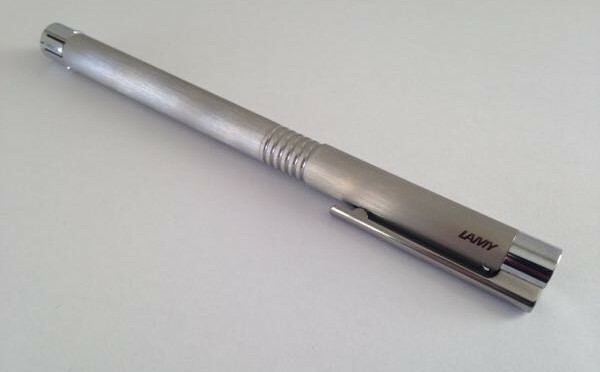 For my birthday I purchased the LAMY logo brushed Fountain pen. 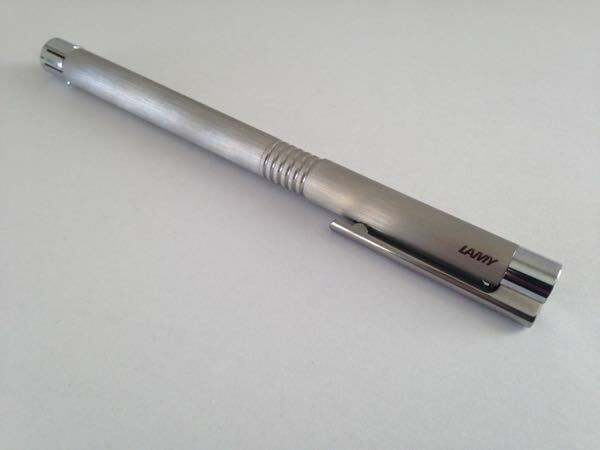 The LAMY logo brushed Fountain pen is the chubby sibling of the matt black logo pen. 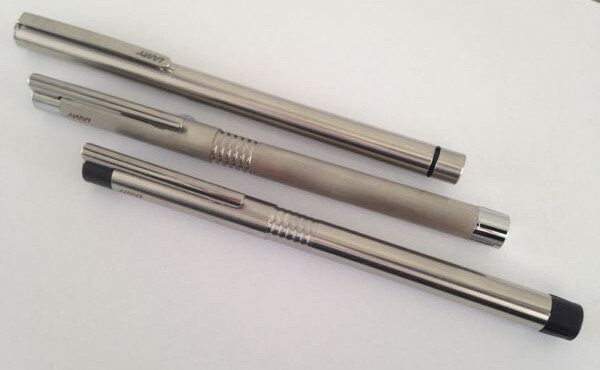 Designed by Lamy designer Wolfgang Fabian. 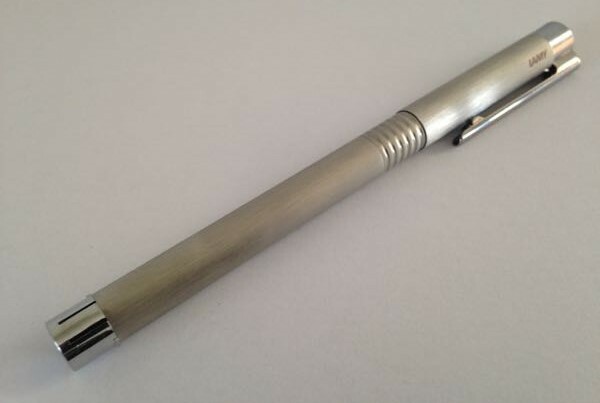 The brushed finish and chrome covered plastic ends does nothing good for the pen as a design feature. For my part, the difference in texture and visual distinguishes the different ink colour within. 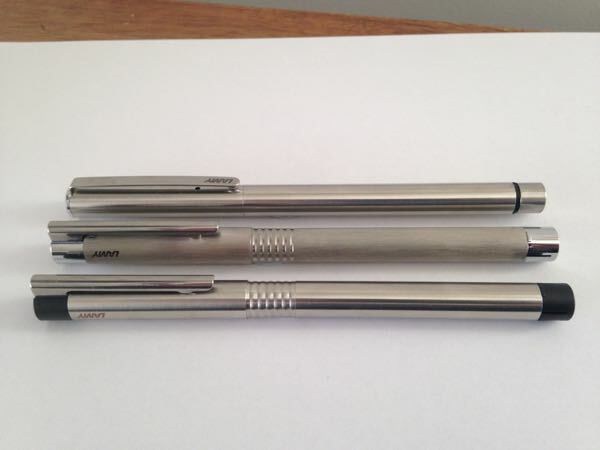 So the question LAMY logo brushed Fountain pen might ask is, do I look fat in this? Yes you do however your details are the same as your sibling LAMY logo matt black Fountain pen, it’s an illusion, your just wearing the wrong clothes. 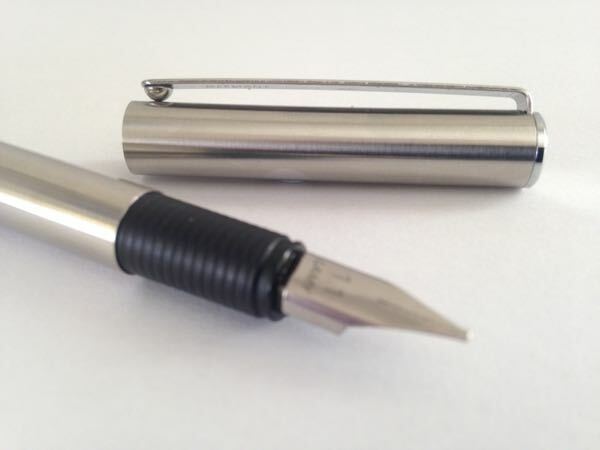 In the article The quick brown fox … Write for life, fountain pens I describe the LAMY logo matt black Fountain pen in more detail. Including the springloaded clip shown below. 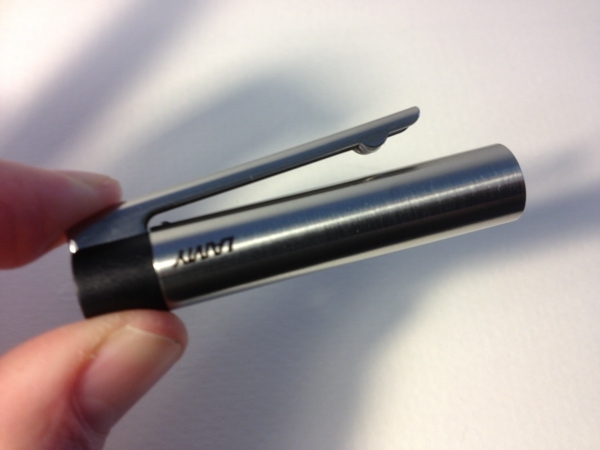 The LAMY logo brushed Fountain pen has a similar clip. & then there were three. & the 3 join my aging Parker.